This page contains information and tools for people with developmental disabilities, parents, and family members. If you have questions about local resources and supports for people with developmental disabilities in Ohio, please contact your local county board of DD by using our directory map below. Your county board of developmental disabilities is your community's primary resource for DD supports and information. Your board can provide more information about available supports, determine eligibility for services, coordinate services for people with developmental disabilities and more. Contact your local board of DD to learn more about available services and supports. Click your county on the map to the right to look up information for your county's board of DD. Basic information (including main telephone numbers, addresses, and MUI/emergency reporting hotlines) is provided for each board. OACB members looking for detailed contact information can find it in MemberConnect. 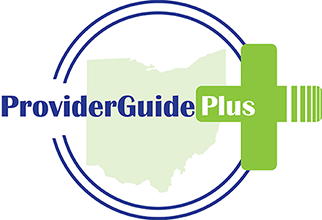 ProviderGuidePlus is an online tool that allows people with developmental disabilities and their families to find, compare, and rate DD service providers. The free service is available statewide. ProviderGuidePlus functions similarly to Angie's List and other popular consumer rating websites. Reviews are submitted anonymously. To find or rate a provider, visit www.providerguideplus.com. The tool is the result of three years of collaborative effort between OACB, the Ohio Provider Resource Association, the Ohio Department of Developmental Disabilities, and parent and family groups. Advocacy & Protective Services, Inc.